I’ve been thinking again about a peculiar collection of poems that God is writing, and about how great poems get written. Just as every note in a musical score is significant, every word in a poem tells, and tells significantly. And it does not line up that way by chance or sloth. 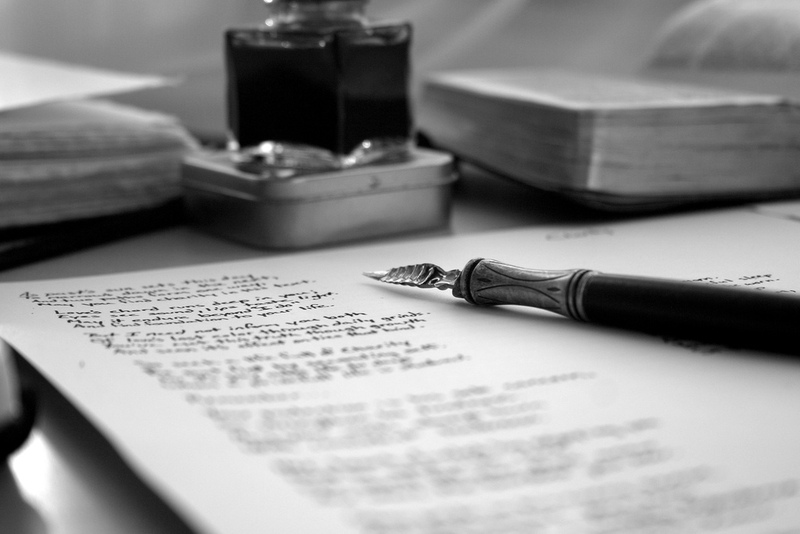 Poetry, with its compact, exact language and precise punctuation, may be the most carefully crafted and painstakingly written, and edited, form of communication. Poets will fight tooth and nail with a publisher over placement of a comma. And long before that, poets, at least the best of them, may die a thousands deaths over just one poem. 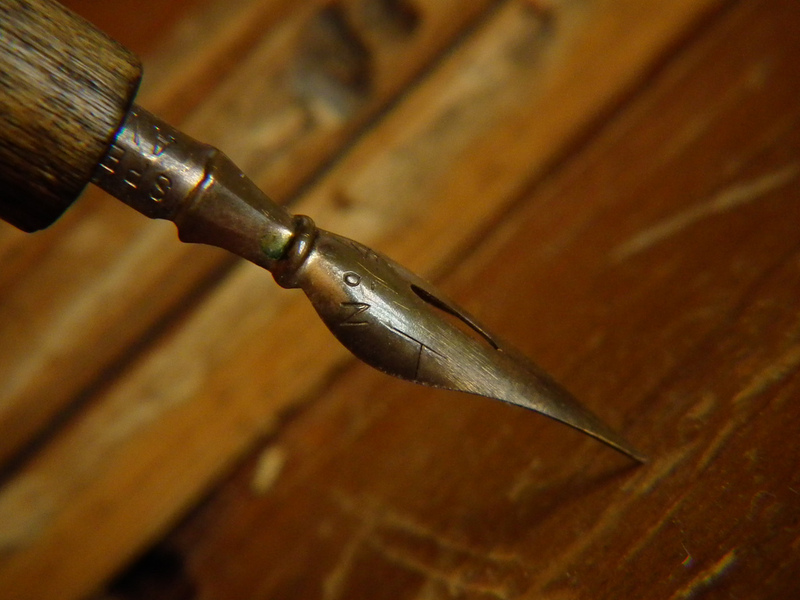 Without a will to erase, add, move, or revise lines, to puzzle perhaps for hours over the right word, image, or phrase – then decide to leave it as is – and then to run through the process again, and then again, you just don’t get ascending poetry. Back in the days of the Greek epic poet Homer (eight centuries before Christ), pieces crafted from metal were called poiēma, a word derived from poiēo, which was a basic term for all kinds of craftsmanship. Within a few centuries, around the time of Plato, poiēma in Greek literature had developed into a word that often denoted what we today would call artistic work, including the work of someone who wrote a book or a play. Plato and others after him also used poiēma especially of poetical works. Quite easily, then, the early church pressed poiēo into service in New Testament Greek to indicate God’s works as creator and redeemer and Jesus’ works and deeds. The apostle has involved us in a little wordplay here. I don’t mean that we should get all sentimental and call for a new translation: “We are God’s poems.” But we do get our English word “poem” from poiēma. So we have good reason for meditating on the implications of what it means by God’s grace to be God’s poems. You can bet Paul was. For God’s poiēma, the editorial process began when we submitted our stories to Jesus the Editor, for consideration to be published. Submission is the hard part. We have worked so terribly hard, and for such a long time, on our own stories. And we’re so proud of them. If anyone tries to touch them, look out! So we’re deathly afraid of editors. There may be too much we are going to have to part with, or they may not even like our stories. Never mind that, as any seasoned writer will tell you, working with a skilled editor makes for the emergence of an ascending story. After submission, the editor says, “I like what you’ve got in mind, but there’s stuff we’ve got to work on, correct a few lines, polish it up here and there, if you want to publish with us. Still interested?” Crumbs. More hard work! But what other choice is there if you you want to get published and read. Sure, you could submit elsewhere, but you’ve already done that and nobody else has come even close to the contract that this publisher has offered. When your story arrives back in your hands you nearly faint dead away. You had no idea! Such extensive surgery. This is going to take time. Yet as you follow the Editor’s guidelines and margin notes, you start to gain a new intuition, which says, yes, this makes perfect sense now. This is the way it should be. You make the changes and resubmit it. Further drafts of your story then pass back and forth, and you’re sometimes elated at the editor’s work, sometimes deflated. Man, this is taking longer than I thought. When will it be finished? When will it be published so that everyone can read it? “Patience,” Christ the Editor responds. “You’re making good progress, but we’ve still got a few wrinkles to iron out. You have a tendency to get ahead of yourself or fall behind or forget about a change that’s been made. And your still inclined to insist on keeping material from the old story. “I know it’s slow and painful at times. I get that. But keep in mind that I’ve already been sending parts of your story around for reviews and, as you know, they’re being well-received. So hang in there. You want that masterpiece I promised, don’t you? This entry was posted in THE SATURDAY POST, UNCATEGORIZED and tagged Ephesians 2:10, Jesus Christ, poems, poetry, poiēma by Charles Strohmer (c) 2014. Bookmark the permalink. Thank you, James. I’m glad it spoke to you. And thx for taking time to say. Later, C.
Wonderful Charles…often thought about the extensive poetry oeuvre in the New Testament! There seem so many pieces that are basically Psalms… The Magnificat of course, the Nunc Dimittis, Zacharias in Luke 1, Paul in 1 Cor 13, and on and on… Keep it coming! Michael, great to hear from you. Thx for stopping by with a note. Hmm, given your skills with the strings, and since you’ve been thinking about it, have you written any pieces using any poetry in the NT, or from the Psalms? I’ve been reflecting on the Psalms for a couple months. Superb poetry there, my friend, as you know.